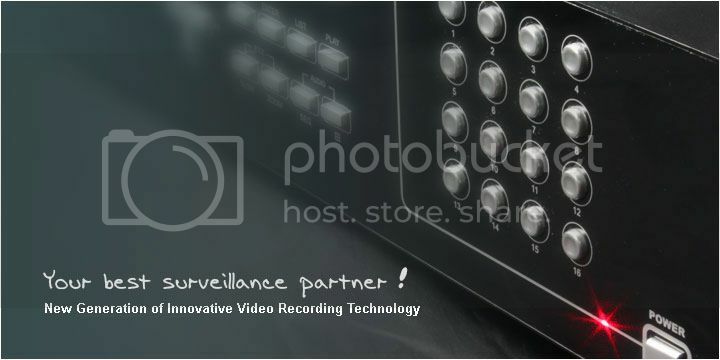 KPD674B is a 4CH H.264 DVR with all basic functions you needed, such as dual video output, external alarm devices connection, motion detection, and remote independent operation. KPD675C is a 4CH Full D1 H.264 DVR with all basic functions you needed, such as dual video output, external alarm devices connection, motion detection, and remote independent operation. KPD677B is a 8CH H.264 DVR with all basic functions you needed, such as dual video output, external alarm devices connection, motion detection, and remote independent operation. KPD677LC is a 8CH H.264 DVR with all basic functions you needed, such as dual video output, external alarm devices connection, motion detection, and remote independent operation. KPD679B is a 16CH H.264 DVR with all basic functions you needed, such as dual video output, external alarm devices connection, motion detection, and remote independent operation.